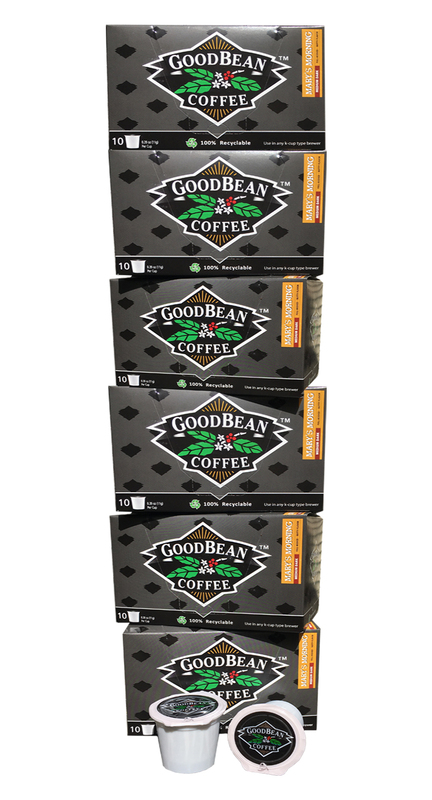 Introducing our new GoodBean Single Serve Cups for use in all Keurig brewers. Choose from one of our 6 best sellers; Jacksonville, Mary’s Morning, Dark Mountain, French Roast, Cowboy Roast, and Organic Dark Mountain. Minimum order is 6 boxes equaling 1 case or 60 individual single cups of the same variety per order.